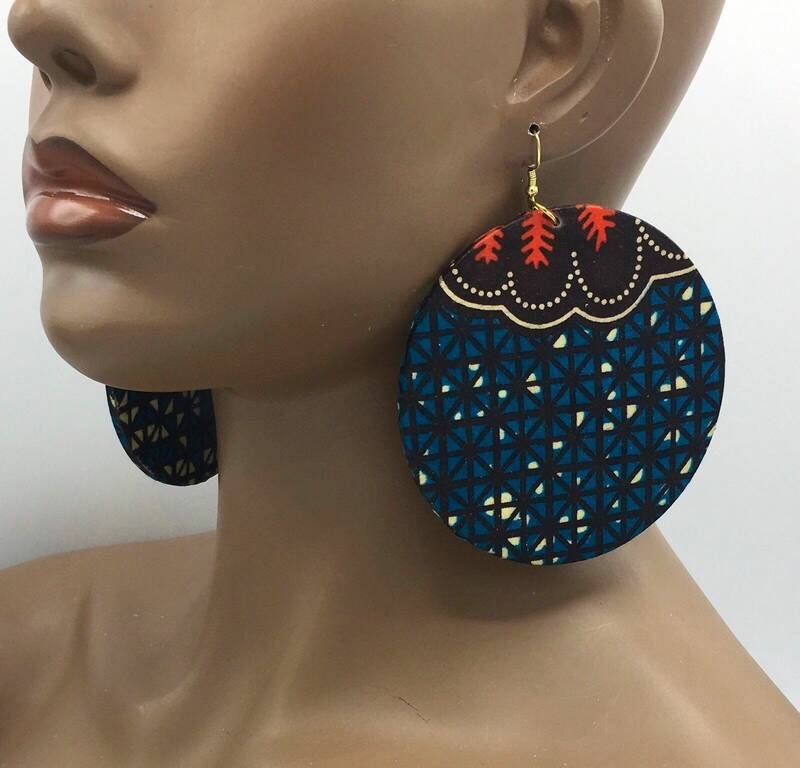 Large 3.5” earrings African/Ankara print earrings adorned with gold-plated ear wires. 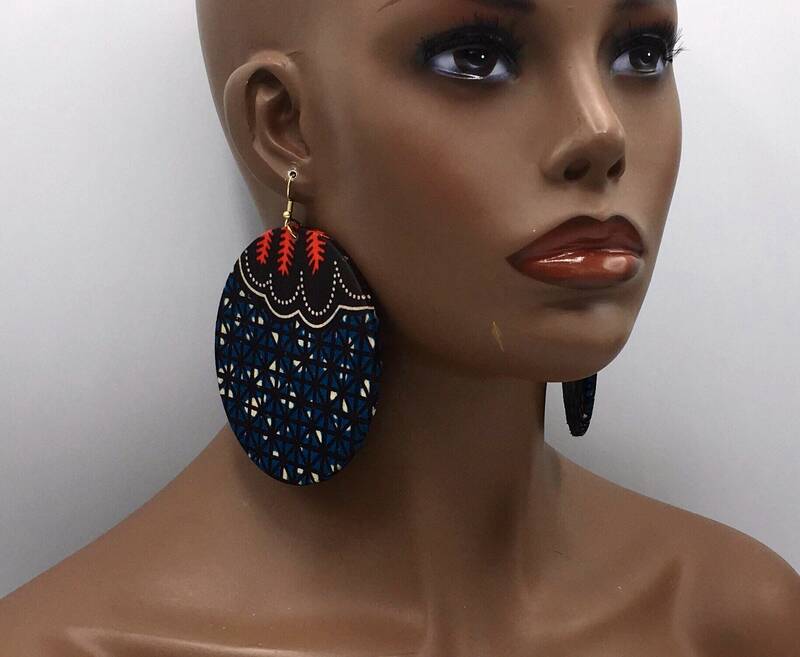 They are 4” with ear wires. 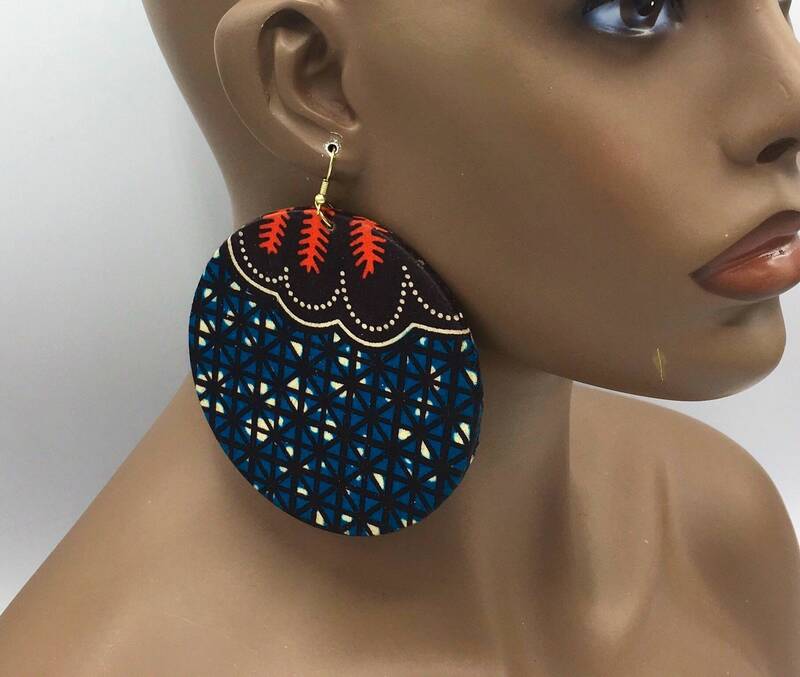 These earrings are light weight. 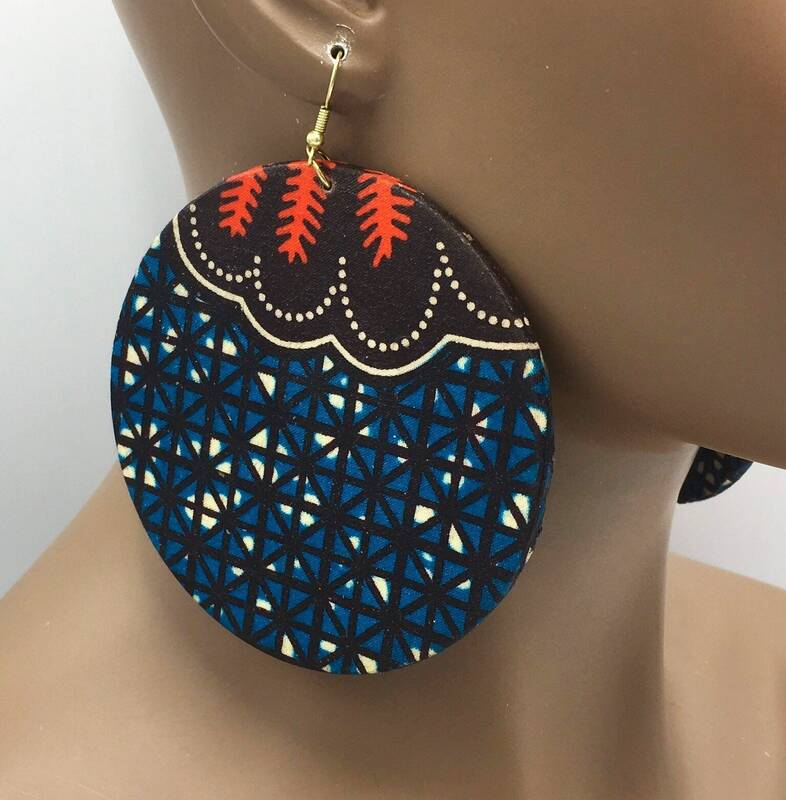 Due to fabric cut, you may receive a slightly different earrings for a truly unique piece. You would not know they are on your ears! Very beautiful and unique. Chokers are 13.5” with 3” extender.